Tracks such as "Rebel Heart" the album's opener documents a love doomed from the start. "It's A Shame" the lead single is a plea to live in the moment because everyone disposes of each other eventually. On "Postcard" and To Live A Life," you feel the breath-stealing weight of despair when a shattered love leaves you bereft of hope. "Fireworks" introverts the blame with self-loathing. 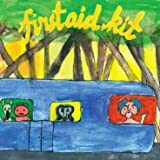 In many ways, First Aid Kit's largest asset is their biggest problem. Their voices are so damn pretty. The [previous] records were always so perfect," says Johanna Söderberg. On Ruins, the duo didn't want it to feel perfect. They wanted it to feel rough and wrenching. Johanna comments further, "Given the material, the lyrics had to be the focus. These sentiments didn't need to be dressed up. They needed to be naked." Ruins was made with one target in mind: make it sound more real a result the Söderberg sisters clearly achieved. 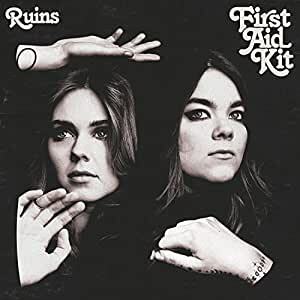 Stream Ruins by First Aid Kit and tens of millions of other songs on all your devices with Amazon Music Unlimited. Exclusive discount for Prime members. for 7 albums, discussions, and more. 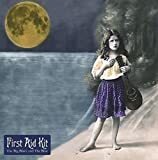 While many bands have no choice but to get poppier upon signing to a major label, First Aid Kit is the rare group who could lean in even more intensely to their folk roots and expand their fan base at the same time. On Ruins, the Joan Baez aesthetic on the album's cover is a harbinger of a sound that seems tailor made for the Grand Ole Opry. The two Swedish sisters, Klara and Johanna Soderberg, manage to deliver an absolutely exquisite folk/country album that is driven by their unparalleled vocal abilities and remarkable knack for writing unforgettable melodies. If you're wondering how they are so effortlessly selling out massive venues across the country, Ruins will help you understand why. There are ten tracks on the record, and every single one of them is superb in its own right. The album's opener "Rebel Heart" crackles like a raging flame. "It's A Shame" is a rollicking road trip song that will coax you into rolling the windows down. Later on the album, "Hem of her Dress" is a remarkably raw, strum-it-out folk sing-along that showcases the way the Soderberg sisters' voices combine for harmonies that will give you chills. These are just a few of the highlights, but there are no low moments here. 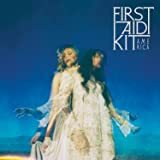 Whether First Aid Kit is offering you something slower or something faster, something darker or something lighter, they are in total control of their songwriting strengths. 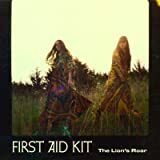 There is no shortage of talented artists on the folk scene today, but there's a case to be made that First Aid Kit represents the gold standard for the genre. They effectively bridge the gap between the simplistic beauty of mainstream music and the rich intricacies of the indie scene. Their arrangements sparkle with little gifts, their lyrics offer us universal reflections on love and remorse, and their talent for infusing an authentic folk sound with pop sensibilities helps keep their output conventionally satisfying. 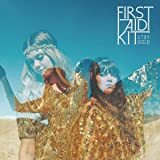 It's rare a year starts off with such a stunning release, but in the earliest weeks of 2018, First Aid Kit set out to leave their mark early, and they certainly succeeded. 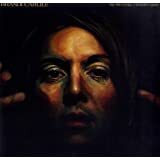 5.0 out of 5 starsIts a lovely album. To be honest, I'm not free of prejudice regarding the First Aid Kit sisters. I've been a dedicated fan since their first recordings. I would give them 5 stars before hearing the first note of anything they release. And I'm not the least disappointed in Ruins, as I expected. Perhaps it's their most honest work yet. 5.0 out of 5 starsThey both write the music and songs. Their English is so perfect. 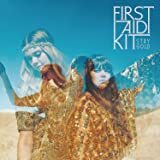 Overwhelmed with everything about First Aid Kit. Very powerful music and lyrics. They are such great talents! I don't think I could ever tire of them. Their musicians are very talented too. I bought this album after hearing them perform "Fireworks" on The Late Show with Steve Colbert. The entire album is fantastic. Full of great ballads, folk songs, country, bluegrass, it has it all. Very laid back and fantastic album! For sure my best album purchase for 2018! It took a while, but the wait was worth it. There’s not a bad track on the album. I keep saying “I think I like this track the best,” then I heard the next song and said the same thing, then again and again. Of all their albums, this one is the most complete and more represents their music. I bought this album on the strength of the song"Postcard", which is the girls doing a bit of country. The rest of the album is totally different and a delight. They have 3 other albums that I will definitely check out. Highly recommended.